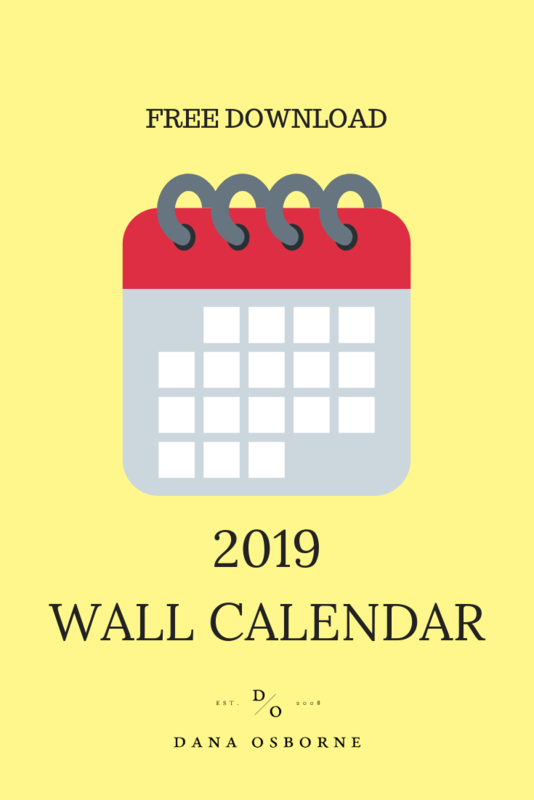 I was approached a few months ago to create a wall calendar for a friend. She is a wedding planner and likes to look at her year from a birds eye, so she can see the weekends she has weddings, the weeks she is on vacation plus all the other big events of the year. 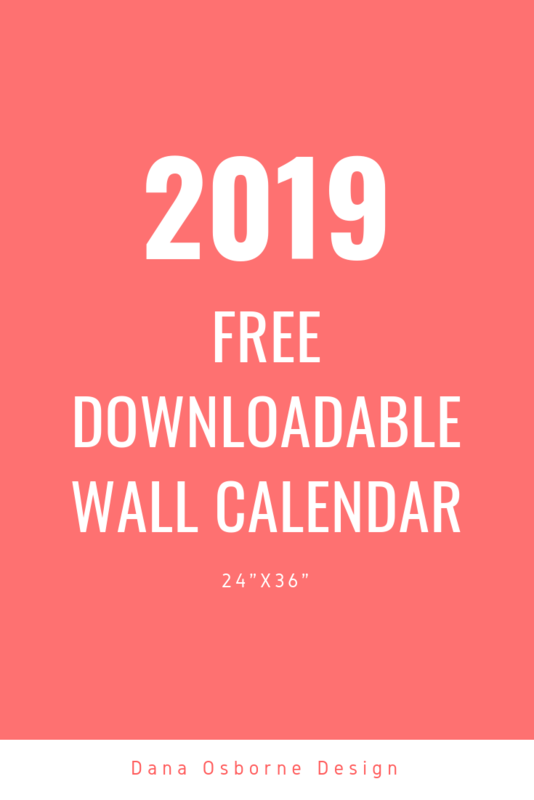 So I created for her a 24″x36″ 2019 Wall Calendar that she could frame. With a frame on it, she is able to use dry erase markers to mark the events she has going on. She printed it herself and I’m sure is already using it. What a great idea! I mean, even for myself, this would be fantastic. 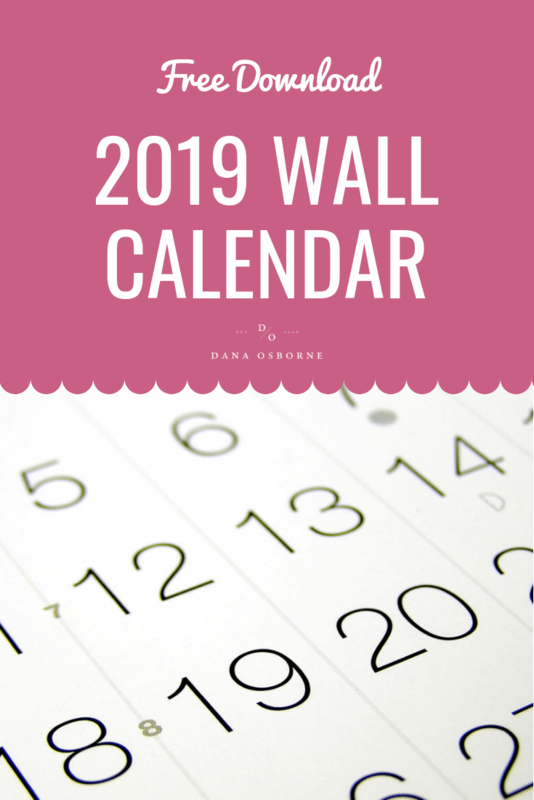 I could see the months ahead of me that are crazy busy as well as the months that may not be filled with weddings, but more “planning” months for me. So I’ve decided to share this download with everyone! Just download, take to your local print shop to print (I suggest Office Depot Printing for large, quick prints), find yourself a frame (Ikea has great ones but check your local Hobby Lobby too!) and start marking those important days in 2019! 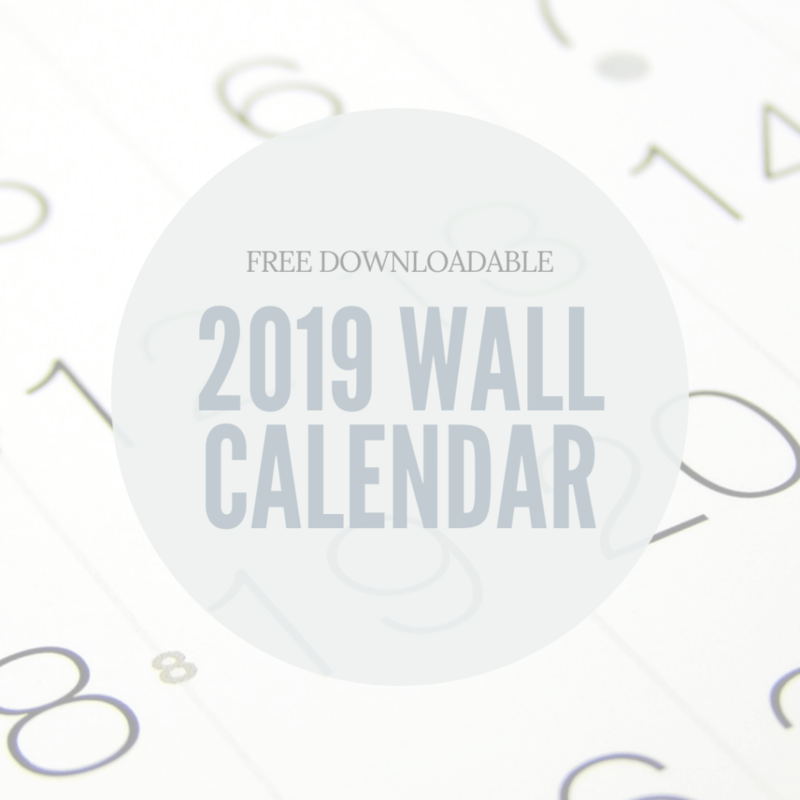 Click here to download the 2019 Wall Calendar!